What are 8 liner machines? An 8 liner machine is like a digital slot machine. A key difference is that slot machines need icons to match across one horizontal row. 8 liners pay out when a player matches across vertical and diagonal rows as well. These machines come in a wide range of variations in both game format and cost to play. In recent years, 8 liner machines in Texas, have become popular with bar owners and other establishments like VFW Clubs. Are 8 liner machines legal in Texas? This is a complex area of State law in Texas. The key legislation is Penal Code Section 47.01(4). Sometimes 8 liners conform to the definition of this law. However, more often they do not. As per this law, 8 liners that are strictly used for amusement are legal. This means that the players can only win novelty items or cash prizes up to a maximum value of $5. Any 8 liner that pays out cash more than $5 is illegal. This ambiguity has led many 8 liner operators to seek out loopholes. They try to offer more enticing prizes and make more money. For example, they would try to use gift certificates as prizes. This worked until the Texas Supreme Court rules against such practices in 2003. It is not necessary to play cat and mouse with Texas State gaming authorities. There are more profitable legal options available to you. For example, sweepstakes. Our free electronic sweepstakes promote the lawful sale of something of value, and are not prohibited by law when properly operated. You can sell more of your products and services by giving away free sweepstakes entries. This is the most important distinction. As soon as a player pays to enter a sweepstake it becomes a gambling activity. Sweepstakes are also a far more exciting proposition for players. Instead of being limited to prizes of $5 or less, they have the opportunity to win as much as $50,000. Contact Tejas Vending and let us show you how to add profits legally! Don’t make a mistake with 8 liner machines in Texas. Why is Sweepstakes Gaming So Popular with Many Texas Bar Owners? Run Internet-based sweepstakes in your bar. This offers a unique opportunity to earn money without all the red tape. It is becoming popular with Texas bar owners because it provides a special advantage. By offering exciting sweepstakes games, Texas bars are able to attract new customers. Because they enjoy the games, new customers become regular customers. There is a wide variety of sweepstakes games that you can offer your patrons. Everything can be managed digitally. The most popular games you will be able to offer are fast tempo games that award prizes. There is no betting since the games are free. So you will not need to worry whether it is gambling, because when it is run properly, it is not gambling. You make money by using the sweepstakes to promote the sale of a product. Free sale-based sweepstakes are legal. Donation-based sweepstakes are vulnerable. Setting yourself up as a sweepstakes bar is an excellent way to entertain your customers. You will also be providing them with a unique experience. This is something that does not take a lot of time to set up. All you need is the correct software and a little equipment. The short setup time is one more reason sweepstakes gaming is becoming so popular in Texas. You should select a platform that offers your customers a wide variety of games. And on the back end, it should provide you with good management tools. These allow you to run this revenue center efficiently. Then you can create a network of computers in your bar. Customers can get free credits with a purchase or donation. They can use those credits to play games that are exciting and possibly win cash prizes. A big concern for a lot of bar owners is the price. Many bar owners are already paying premium subscriptions. Mostly to show sports but rents also get more expensive all the time. The cost of setting up sweepstakes gaming in your bar depends on many factors. How many computers do you want in the network? And what will be the cost of upgrading your internet connection to handle the extra traffic? To keep costs down, you want to ensure that you always select a web-based solution. This way you can ensure maximum uptime, low setup cost, and instant updates. It would be much more expensive if you tried to run the servers yourself. Most bar owners outsource such technical matters. They focus on delivering a premium gaming experience to their customers. Some bar owners use providers that require the use of expensive point-of-sale machines. But, these should be avoided as they add unnecessary costs to the setup. In fact, most software providers do not charge an up-front fee for their software. You are usually only charged for the credits that you distribute to your customers. Make sure to inquire about volume discounts on credits. This provides you an opportunity to save even more money as you scale your operation. Paying as you go allows you to keep cash flow under control when you are getting started. 8-Liners are a type of video device named for the different ways that symbols can line up for a winning spin (i.e., three vertical, three horizontal and two diagonal). 8-Liner machines are very popular in Texas. But, they have come under scrutiny from law enforcement authorities. This is due to certain operators violating gambling statutes. Some establishments have been using these as nothing more than video slot machines. This has led to run-ins with the authorities. The important thing to know about 8-Liners is that they cannot pay out cash prizes to customers, or noncash prizes exceeding $5 in value. Gambling is illegal in Texas. So 8-Liners, which require payment to play, are legal only in certain jurisdictions, and only then if they award solely points redeemable for game play, or in some cases non-cash merchandise valued less than $5 or ten times the amount charged to play the device, whichever is less. This limits the excitement and appeal for customers. When 8-Liners do not comply with these limitations, they are classified as gambling devices. Properly operated sweepstakes machines avoid the problems of 8-Liners. They do this by making it more clear that there is no pay to play involved. Customers never purchase entries into the sweepstakes. Instead, they are given entries free with the purchase of a product promoted by the sweepstakes. This is an important distinction. Sweepstakes are free. If a person charges anything to play, it is not a sweepstakes, it is gambling. When customers enter sweepstakes, they need to find out whether they have won. They do this by logging into a computer at the establishment. This is the sweepstakes machine. It differs from the 8-Liners because it is not dedicated to just one game. It can run hundreds of different sweepstakes games. This way the results can be presented in a variety of different ways. People may prefer to see something that resembles their favorite Vegas-style game like a slot machine, roulette wheel, or cards. But the game theme chosen and the results of the play have no effect on the ultimate result of the sweepstakes entry, which is pre-determined. For sweepstakes in Texas, the maximum prize amount is up to $50,000.00. There are many different ways you could run a sweepstakes bar. What you choose depends on your personal goals. In certain counties, you may still be able to find 8-Liner machines, BUT THEY ARE PROBABLY ILLEGAL. ON THE OTHER HAND, PROPERLY OPERATED SALE-BASED SWEEPSTAKES ARE LEGAL. The key is doing business with a company that complies with the law, which many do not do. All you need to add to your existing bar setup is a control area. This is where your employees will be able to manage the machines and handle payments. Since the machines are in fact personal computers, you have a lot of flexibility in how to arrange them in your bar. It all depends on the kind of atmosphere you’d like to create. Contact us to see how easy it is for you to start profiting today with your bar or establishment! We recently came across this article and found it quite fascinating! Here’s what’s interesting about this case… Gilroy is not anti-sweepstakes, but anti-gambling… which is exactly why she would love our Music Download Sweepstakes platform, which can operate in bars, restaurants, game rooms, convenience, even establishments similar to your local VFW! Gilroy recently won $25,000 in sweepstakes gaming. When operated properly, sweepstakes is 100% legal. This is a lady who shut down a fundraising campaign for her local VFW (operating a raffle) and yet has already invested the money she won from Gaming Sweepstakes. Tejas Vending will be sharing our news and sweepstakes findings with you regularly, so please come back and visit us again soon for updates and News of the Strange and Unusual in Sweepstakes! The IRS published the following “National Office Technical Advice Memorandum” ruling that sweepstakes are not considered gambling and that money won from sweepstakes are not considered gains from wagering! Please read the memo (PDF). Sweepstakes business is a controversial business. It is legal in Texas if conducted properly. However, there is always the risk that the laws or rules could be changed by Texas Legislature and the entire business could go away. In the last 15 years, there has been proposed legislation presented to Texas lawmakers that would put Sweepstakes in the same category as 8-Liners and other gambling machines. There is also the risk of local law enforcement confusing Sweepstakes machines as gambling devices and acting too hastily and raiding the business and confiscating the machines and even arresting people. In all cases, when Sweepstakes were involved, charges were dropped, and cases dismissed, and machines returned. However, there have been successful prosecutions in Texas for people operating internet cafes and, of course, these make juicy stories that get on the headlines and sell papers. 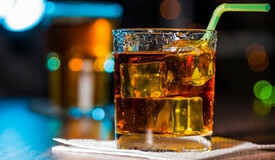 Time to Sell Your Bar?